I can't believe a whole month of summer has already flown by. Wow!!! To kick off the new month, I thought nothing would be more fun than a little review!! 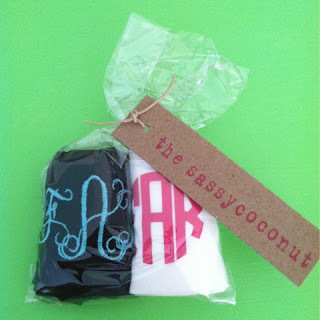 The Sassy Coconut is an Etsy shop with a plethora of adorable monogrammed products at fabulous prices! Sandee is the owner of The Sassy Coconut and sent me two adorable monogrammed headbands a couple weeks ago for review! 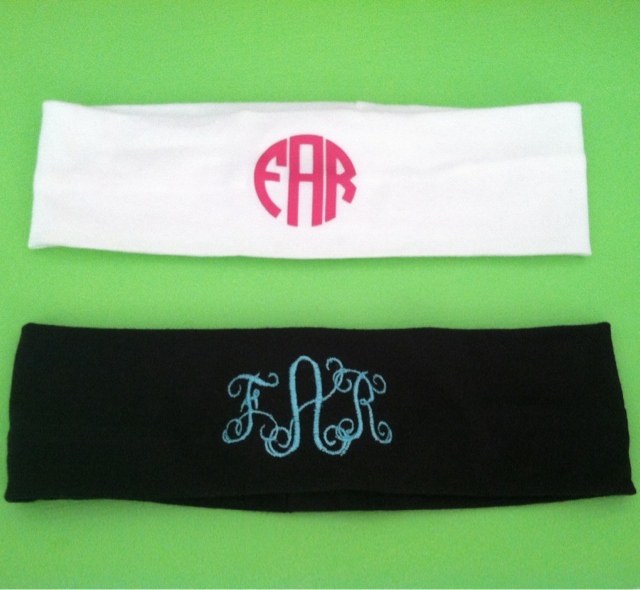 The first headband is black with a light blue script monogram, and the other is white with a hot pink block monogram. These headbands are super wide and super comfortable. They stay in place really well and I will definitely be getting a lot of use out of them!! I absolutely love these type of headbands. They're a lifesaver while trying to wash your face but I also really love them for the beach. These headbands are so cute! Finding headbands that actually stay on my head are so hard to find so I definitely need to give these a try!